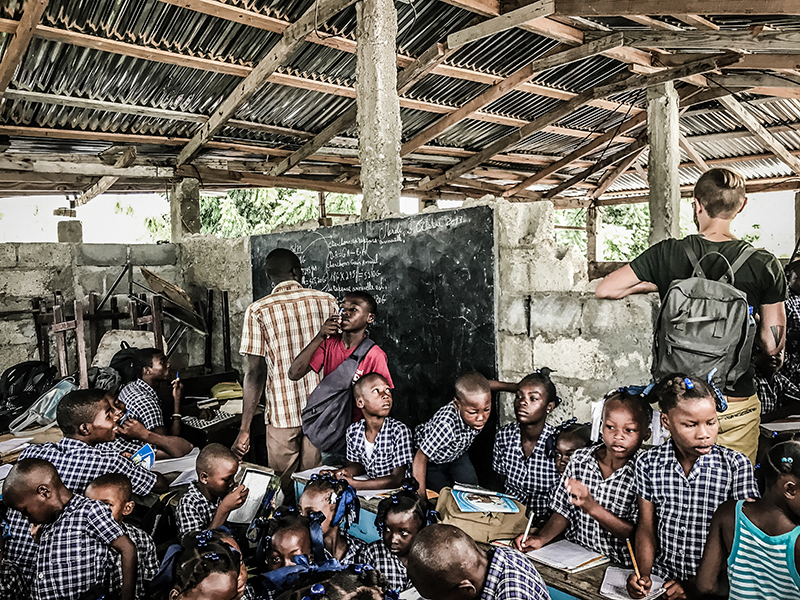 Ever since, Haitihilfe Heinz Kühn supports special projects regularly - primarily in the school section - through financial aid. Complete construction financing of a massive building with three classrooms, Ecole Beaudoin. Building cost subsidy for the renewal of classrooms and the principal's room, Ecole Sapotille. Partial financing of a footbridge to secure the children's way to school, Ecole Evangelique Dupin. Building cost subsidy for the construction of a canteen building and fitting-out of the school yard, Ecole Bon Berger. Building cost subsidy for the start of the new school building, Ecole Communautaire Dupin. Construction of a new classroom, upkeep, furnitures and massive doors, Ecole Notre Dame de la Mercie.